From here, you can add new Privilege Profiles and edit existing ones. Enter the title for this access, such as "Accountant" or "Volunteer"
Scroll down to review and select the areas where they should get access to. For our example, we want someone to have access ONLY to building and editing campaigns. We can allow them access to all campaigns, or only to specific ones. Hit Save once the settings are to your liking, and this new profile will appear in your list of profiles. 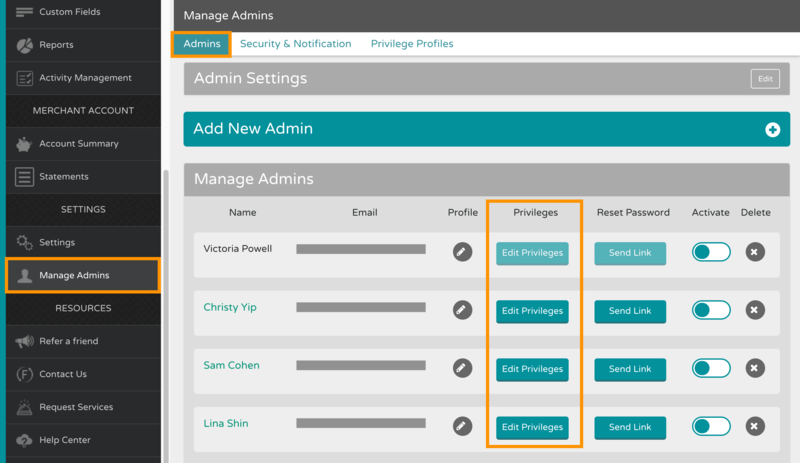 Once you have privilege profiles set up, you can pick them from a drop-down menu when setting up new admin privileges (rather than picking all of the settings manually every time).